The month of May not only brings out the flowers but also all those marvelous recreational bicyclists. 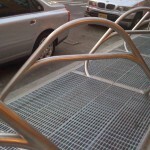 Luckily, a top priority of Mayor Bloomberg has been to increase the use and ease of bicycling for city residents and visitors. New Yorkers canâ€™t help but notice all the great changes that have been made. We have miles of designated bike lanes, beautiful new bicycle shelters and new subway gratings that double as bike racks and benches. BRAVO! In addition there are more city sponsored bicycling safety programs, more street closings, better signage and a continued dedication to opening more and more miles of bike lanes throughout the boroughs. I am an avid recreational biker and live in lower Manhattan.Â On weekends, traffic is considerably thinned and I feel much more comfortable navigating the quieter downtown streets. I make tremendous use of the wonderful bike lanes along the Hudson River from Battery Park to Riverside Park and often follow the wonderful bike routes printed in Timeout and New York Magazine each spring. And yes it is marvelous to do errands on the weekend using your bike. Contact 311 and ask them to send the FREE NYC Cycling map. It contains all the cityâ€™s bicycle routes, bike rental and safety information. You can download the map from the 311 site . Remember to take it with you when you ride. Sign up for the NYC Government Bicycling newsletter, which gives you constant updates of new lanes and information. 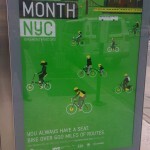 Go to the New York Bike Month for essential information and special event sign up. Take the New York Water Taxi to Brooklyn, Bikes ride for free, and avoid the treacherous Brooklyn Bridge, too many pedestrians and nonspeaking English visitors. They DO NOT get out of your way, even in the bike lanes. 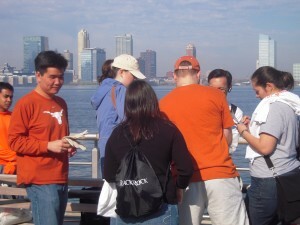 DO take your bike to Governors Island by ferry and bring the kids. There is Free Bike Fridays throughout the season if you need to borrow. Do know the most trusted bike shops in your area. Their professionals will help you pick the right bike and help maintain your bicycle with regular tune-ups.Â Rent before you buy to see if you like the sport.Â Most bike shops rent good reliable bikes and there are numerous bike rental shops scattered throughout the city. Do know where to get your bike repaired on Sundays and holidays. Not fun to lug a broken bike on the train home. Tip: By the South Street Seaport the rental guys are nice enough to help if you need an emergency repair. Do buy the best lock possible, a hardened chain and padlock is probably the best. A good bicycle will get stolen. Learn the rules of the road and follow them. Beware of opening car doors.Â They will cause a serious accident. Â Never trust a moving vehicle. Do pack a lunch and have a safe and fun Bicycle Season! Motherâ€™s day, on Sunday May 10th,is just around the corner. I have been a daughter for over 50 years, a mother for over 35 years and now a grandmother for over 5 years. I have given and received countless gifts over all these years. The most memorable and probably the least expensive were gifts made for me or by me. 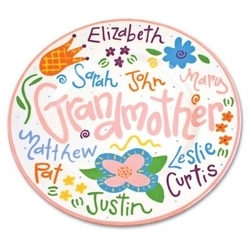 I cherish the ceramic plate with painted stick figures and the names of all my kids. My daughter loves the little photo album I made of her family of the previous year. Now I just do a new one each year. I am thrilled to have a wonderful playlist that my youngest son burned for me of my favorite music, which I now listen to on my iPod. This year for all my daughters I made a recipe book of our familyâ€™s favorite recipes including those of my dear mother in law, Grandma Gert, who died several years ago but lives on through her wonderful and delicious recipes, which otherwise would have been lost. Or the gift of time by a son who helped his grandmother learn to use an Apple computer for the first time. All simple, affordable and preciously made with love. 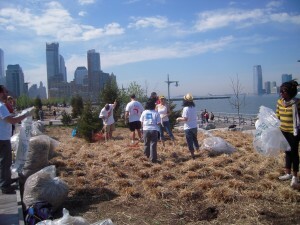 Saturday April 25th was Hands on New York Day for New York Cares. 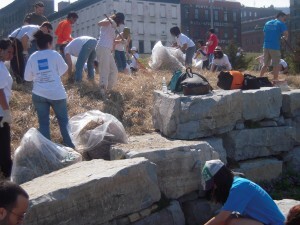 Thousands of volunteers worked on revitalizing parks and schools throughout New York City. 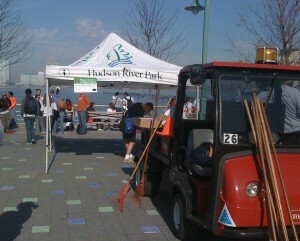 I was privileged to be a site captain for a project of 70 volunteers representing three teams, American Express led by Allan Sih, EquiLend led by Lisette Martin and Barclays Capital led by Sean Gordon.Â We were assigned to the Hudson River Park Trustâ€™s stretch of newly opened park which runs along the Hudson River waterfront from Watts Street to Debrosses Street. 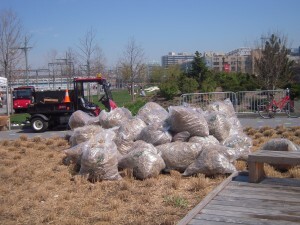 We pruned, raked, weeded and bundled from 9:30am until 2pm. The HRPT staff told me that we used over 300 bags for the debris we collected and saved them perhaps two weeks worth of work. The Hudson River Trustâ€™s most capable and professional Director of Horticulture, Lee White, was our â€œrealâ€ leader for the day. Lee and his staff worked long and hard helping us complete our tasks. They were caring, appreciative and very knowledgeable about all things pertaining to this gem of a park. Though the HRPT and New York Cares Volunteers were not responsible for the glorious weather and fantastic setting, they were responsible for, in the true sense of citizenship and volunteerism, bringing together people with the purpose of improving the lives of our fellow New Yorkers. New York can be very proud. Everyone is worried about food safety these days. It seems that every evening on the news we hear about a new outbreak of salmonella or a recall of meat from a contaminated processing plant. There are warnings almost monthly, its either pistachio nuts, lettuce or hamburger patties. This summer I became poisoned with a little known toxin called Ciguatera. Ciguatera is passed to humans from warm water fish that have fed on toxic plankton. This toxin attaches itself to the nerve endings of the person ingesting the predator species. Â Â In my case it was grouper. It has nothing to do with how the fish is caught or prepared. This toxin occurs naturally but little is know about it. This poisoning is usually not fatal but causes extremely uncomfortable symptoms for months. Doctors know very little about it and hospitals do not know much of diagnosing it or treating it. I am an avid supporter of the Seafood Watch Program. 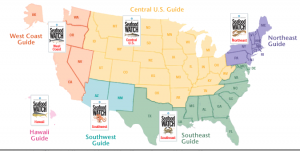 I have their Seafood Watch guides and receive their newsletter. These guides are organized by region. They provide information about ocean issues, and harmful fishing practices.Â They also provide information on which fish and seafood are sustainable and healthy. I even have their iPhone app, which rates seafood healthfulness and contains a sushi guide. If you do not have an iPhone you can request their seafood guides on line for free. The Monterey Bay Aquarium â€˜s Seafood Watch Program has won this yearâ€™s TreeHugger best green award for The Best Source of Sustainable Seafood Information. To see all the other winners for other categories visit Treehugger. There are many good sources for helping us buy smart and healthy. Â Kate McDonoughâ€™s The City Cook is a wonderful source of recipes, local specialized markets, local produce and other wonderful urban food insights. Need a baby gift? Does your home need a good spring cleaning? The Â Manhattan Green Depot at 222 Â Bowery has the perfect solution for you. 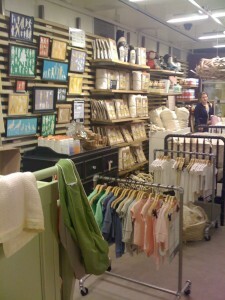 Newly opened it is a cleanly designed store Â filled with “good, green” products for every occasion. I particularly loved the selection for babies. 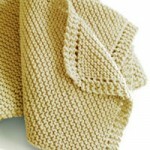 Can’t get out to the store today to shop Â go to the excellent green solution site Green Feet. Look for those marvelous Bamboo plates and you won’t feel so guilty about using disposable.